It's hard being a single parent. Instead of having a perpetual partner in life, you are left to play two (and even more) roles in the upbringing of your child. It's already an accomplishment to provide enough for a child if you have to do it alone. But of course, for most parents, just enough will never be enough. 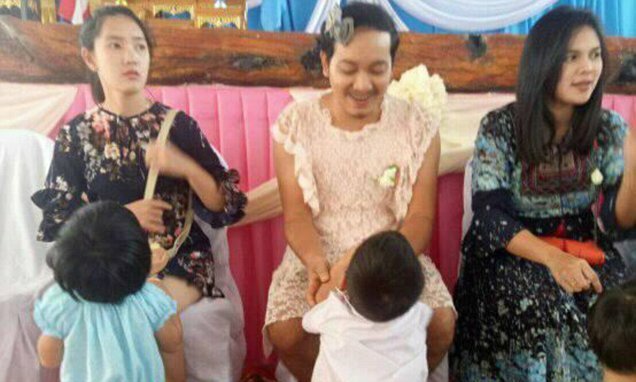 Take for instance this Thai dad named Chatchai Parn-uthai. He is a single dad who spends everyday trying to provide for his young boy. He has been doing this for two years, after a bad divorce with his ex-wife. He has surpassed many challenges and problems in his life as a single father, but one of the biggest hurdles he has ever faced came recently. 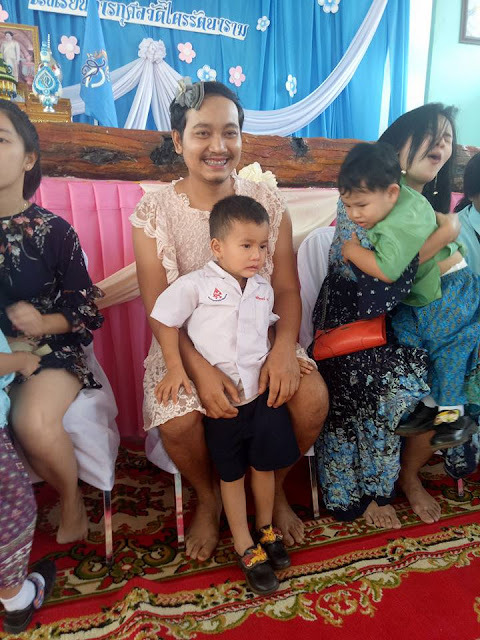 See, Mother's Day is celebrated in Thailand every 12th of August. Queen Sirikit or the 'Mother of All Thai People' is given all praises on this day. This means that in schools all over the country, there are a myriad of Mother's Day activities for the kids and their moms! This put Chatchai in an awkward position. Surely, he cannot be considered a mother, but his poor son cannot be left to go in those mother-child activities all on his own! It would definitely break him! Again, Chatchai is not one to settle for anything less than the best for his son. 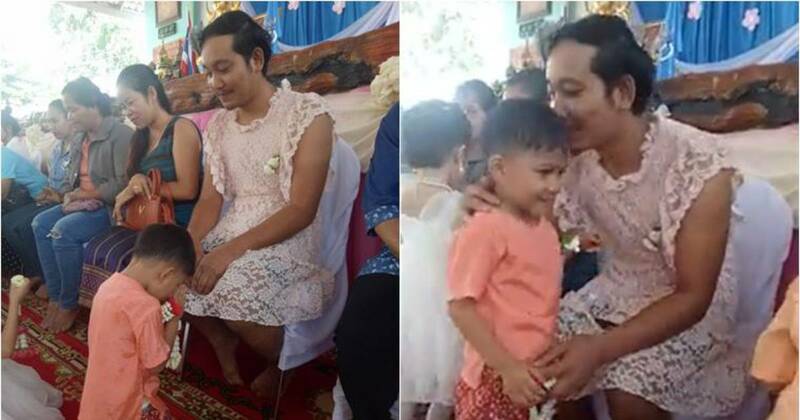 So this is what he did-- he bought a pink, laced dress and a hair ornament-- and attended his son's school activity dressed like a mother! 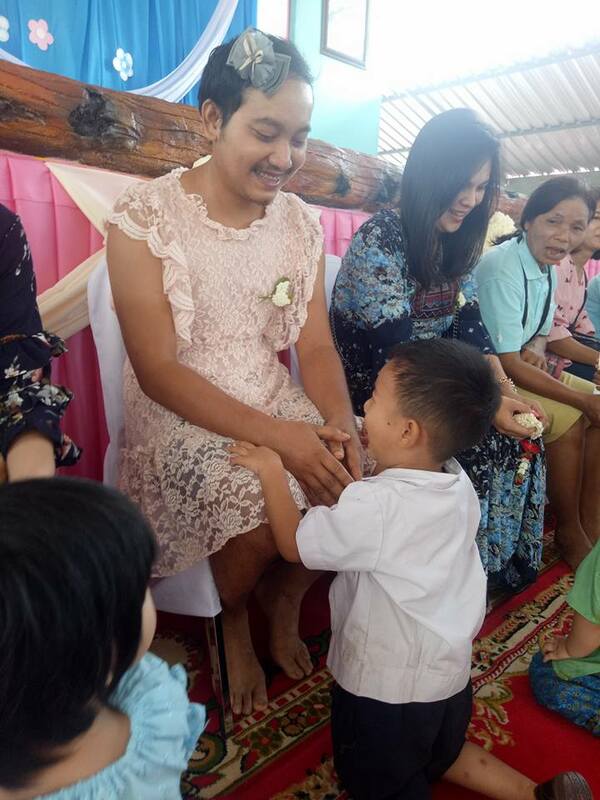 All the other people in the world could judge his decision, but just look at how happy his son is to have a 'mother' for this special occasion! Then again, while some of the other comments were nasty and judgmental, most netizens found the man's gesture heartwarming and admirable! Not many guys would choose to be there for their children if it breaks their idea of masculinity. 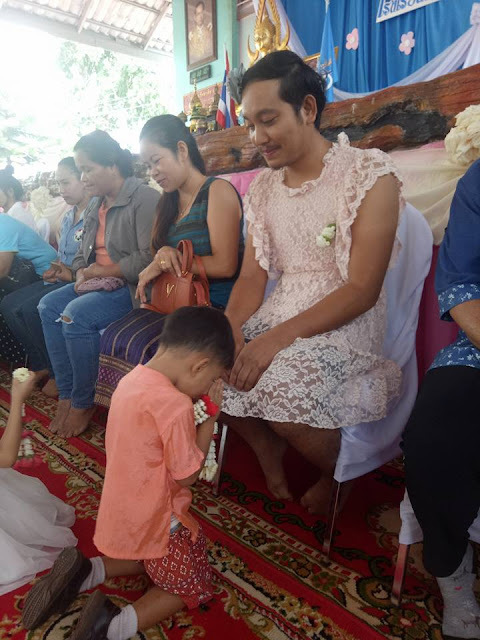 Apparently, nothing much matters more to Chatchai than his beloved son. He is one lucky boy to have a father who cares so much despite everything he has to struggle with as a single father!